Kadri returned after receiving a knee-on-knee hit from DeBrusk in the second to score midway into the third before he ignited fireworks with his shot to the head of the Bruins forward. The prevailing question surrounding Kadri's potential suspension might be "for how long" as opposed to "if" given the 28-year-old's considerable history, as he has been suspended four times during his career -- including for three games in the 2018 first-round series with Boston following his boarding penalty on Tommy Wingels. While Kadri's status is up in the air, the same can be said for DeBrusk along with defensemen Torey Krug (undisclosed) and Connor Clifton (upper body) as the series between the Original Six rivals is ratcheting up the emotion. "We're not a team that runs from a physical game," Bruins coach Bruce Cassidy said. "I think it brings out the best in us at times. You've got to make sure you stay on the right side of things, and score, defend, while you're doing all that. That was the ask (Saturday). We got it." ABOUT THE BRUINS: Boston altered its approach after its 4-1 setback in the series opener, with David Backes making the most of his addition to the lineup by registering a game-high seven hits. Backes wasn't the only one laying the lumber, as David Pastrnak (four hits), DeBrusk (four) and David Krejci (three) weren't shy about making their presence known. "It was really intense. We felt like we needed to play more of that style ... both teams want to play hard and play that kind of playoff-style hockey," Bruins forward Matt Grzelcyk said. ABOUT THE MAPLE LEAFS: After drawing rave reviews following their series-opening performance, defensemen Jake Muzzin and Nikita Zaitsev didn't fare as well in Game 2. Muzzin failed to control a loose puck in his own zone which led to Charlie Coyle's game-opening goal and was out of position on a 2-on-1 rush that was capped off with Brad Marchand's first goal of the series. Muzzin and Zaitsev, who each finished with a minus-3 rating, were separated as a unit in the third period and paired with Travis Dermott and Jake Gardiner, respectively. 1. Boston C Patrice Bergeron has three goals and two assists in four games versus Toronto, including one goal in each game of this series. 2. Maple Leafs RW William Nylander or C Patrick Marleau likely will be placed on the third line should Kadri be unavailable to play on Monday. 3. Bruins C Marcus Johansson missed Game 2 with an illness and did not travel with the team to Toronto. Over is 5-1 in Bruins last 6 road games. Bruins are 1-5 in their last 6 games as an underdog of +151 to +200. Bruins are 1-5 in their last 6 playoff games as an underdog. Under is 4-0-1 in Maple Leafs last 5 games as a home favorite of -110 to -150. Over is 6-1 in Maple Leafs last 7 Monday games. Under is 6-1 in Maple Leafs last 7 overall. Under is 6-1 in Maple Leafs last 7 vs. Eastern Conference. Bruins are 2-7 in the last 9 meetings in Toronto. Bruins are 4-1 in their last 5 games playing on 1 days rest. Bruins are 8-2 in their last 10 after allowing 2 goals or less in their previous game. Bruins are 15-5 in their last 20 games following a win. Bruins are 5-2 in their last 7 road games. Bruins are 7-3 in their last 10 when their opponent scores 2 goals or less in their previous game. Bruins are 21-9 in their last 30 overall. Bruins are 2-5 in their last 7 games as a road underdog of +201 or greater. Bruins are 2-6 in their last 8 playoff games as an underdog of +151 to +200. Bruins are 2-6 in their last 8 games as an underdog of +201 or greater. Bruins are 1-4 in their last 5 vs. Eastern Conference. Bruins are 1-5 in their last 6 vs. Atlantic. Maple Leafs are 5-1 in their last 6 Monday games. Maple Leafs are 4-1 in their last 5 home games following a road trip of 7 or more days. Maple Leafs are 7-2 in their last 9 home games vs. a team with a losing road record. Maple Leafs are 7-2 in their last 9 games as a home favorite of -201 or greater. Maple Leafs are 23-8 in their last 31 games as a favorite of -110 to -150. Maple Leafs are 14-5 in their last 19 games as a home favorite of -110 to -150. Maple Leafs are 38-17 in their last 55 games as a home favorite. Maple Leafs are 36-17 in their last 53 when their opponent allows 2 goals or less in their previous game. Maple Leafs are 2-5 in their last 7 home games. Maple Leafs are 1-4 in their last 5 vs. Atlantic. Maple Leafs are 1-4 in their last 5 vs. a team with a winning record. Maple Leafs are 1-4 in their last 5 overall. Maple Leafs are 1-4 in their last 5 games playing on 1 days rest. Maple Leafs are 1-4 in their last 5 vs. Eastern Conference. 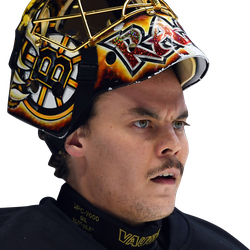 Under is 4-1-3 in Bruins last 8 playoff games as an underdog of +151 to +200. Over is 4-1 in Bruins last 5 vs. Atlantic. Over is 6-2 in Bruins last 8 games playing on 1 days rest. Over is 3-1-1 in Bruins last 5 playoff games as an underdog. Under is 25-10-1 in Bruins last 36 road games vs. a team with a winning home record. Over is 5-2 in Bruins last 7 vs. a team with a winning record. Over is 7-3 in Bruins last 10 overall. Over is 7-3 in Bruins last 10 vs. Eastern Conference. Under is 6-1 in Maple Leafs last 7 vs. a team with a winning record. Over is 17-4 in Maple Leafs last 21 home games vs. a team with a losing road record. Under is 4-1 in Maple Leafs last 5 vs. Atlantic. Over is 15-5-2 in Maple Leafs last 22 games as a home favorite of -201 or greater. Over is 19-7-1 in Maple Leafs last 27 games as a home favorite. Over is 8-3 in Maple Leafs last 11 home games. Under is 5-2 in Maple Leafs last 7 after scoring 2 goals or less in their previous game. Over is 7-3 in Maple Leafs last 10 when their opponent allows 2 goals or less in their previous game. 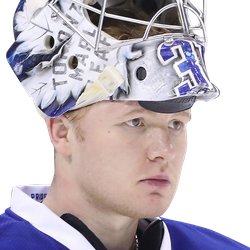 Over is 40-18-3 in Maple Leafs last 61 games playing on 1 days rest.